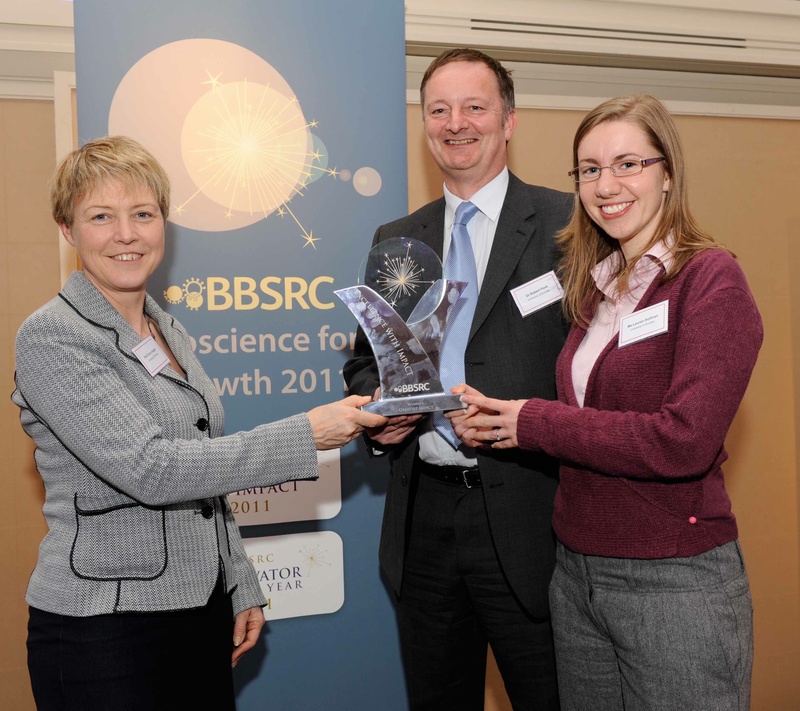 The College of Life Sciences at the University of Dundee has won two of the three major prizes at the 2011 BBSRC (Biotechnology and Biological Sciences Research Council) Impact Awards. The College of Life Sciences won the award for `Greatest delivery of impact’ while Professor Jason Swedlow was named `Innovator of the Year’. BBSRC is the UK funding agency for research in the life sciences and the largest single public funder of agriculture and food-related research. The Impact Awards are highly prized in the UK research community. Winners and runners up of this year’s awards were announced at an event in London with a speech and prize giving by Minister of State for Universities and Science, David Willetts MP. Professor Pete Downes, Principal of the University of Dundee, said, “The University of Dundee has always held our regional responsibilities as one of its key priorities. This is not simply about linking with local industry but also about engaging with international business, helping attract inward investment and building a wider economic base around what is taking place within the University. “The building of the life sciences `cluster’ around Dundee, centred on the internationally renowned research taking place here, is a great example of how we have achieved this. Life sciences now accounts for around 15% of the local economy in Dundee and the surrounding area. Professor Swedlow, based in the College of Life Sciences, was named Innovator of the Year 2011 for his work on the Open Microscopy Environment (OME) - a revolutionary venture into open source software. The ethos of OME is "share and share alike". With this approach Professor Swedlow and colleagues are rapidly catalysing the path of discovery for all bioscience researchers who generate and use imaging technology as part of their work. This includes research to identify biological structures, examine animal behaviour, monitor the mechanism of action of a new drug, or any of a great number of imaging practices. As an open source, community-led consortium, OME is now the leading provider of software solutions for biological image management. Central to their success has been the development and uptake of a standard image format that can be used across a range of different microscopy platforms and allow researchers to share data in an open image data repository. The judges' view was that the impact of OME was of remarkably wide benefit due to the flexibility and openness of the approach. The business model is very clever and allows for open source software development - as in, for example, Linux, Java, OS X and Mozilla's internet explorer, Firefox - and at the same time commercial opportunities are possible by licensing platforms based on the software. Two such platforms from OME are Bio-Formats and OMERO. In this way there are both economic and social impacts from the work. Professor Swedlow said "It is a great honour to accept this award. The support we have received from BBSRC, as well as the Wellcome Trust, during the early stages of the research has been invaluable. "Our vision has always been to create a global standard for imaging software and the community that has grown up around the open source development is extraordinary. In reality I am receiving this award on behalf of a large group of extremely talented people who share a common commitment to innovation through team work, collaboration and the process of creating something new and exciting as a community." Professor Swedlow also won the category prize for Social Innovator of the Year. He receives a £10,000 award as Innovator of the Year. The College of Life Sciences receives £150,000 for the department award, money which will be reinvested to support it’s impact activities. This may include sharing best practice, facilitating collaboration with end-users, and providing training in relevant skills.